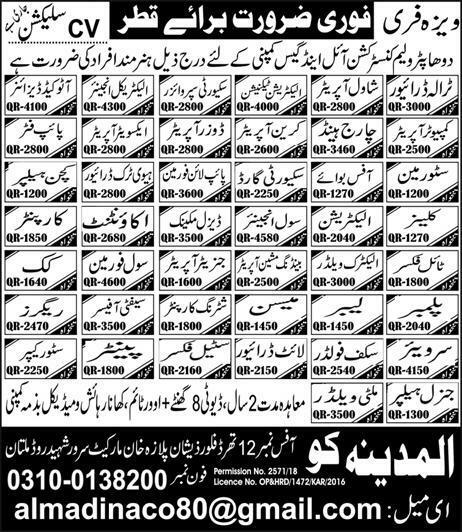 Below are the complete details of the Driver jobs in Al Madina Co in Multan. Qualification: Driver Jobs in Qatar matric pass degree holders must have relevant of working experience in similar job & its a temporary basis male candidates may apply this posts. 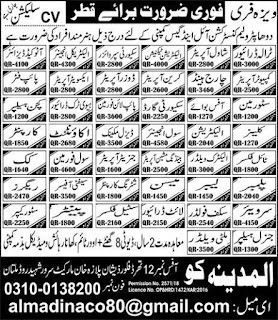 Driver jobs in Al Madina Co Multan, in Pakistan published on Paperpk.com from newspaper on December 29,2018. Job seekers who are already working as LTV Driver , HTV Driver ,Heavy Duty Driver can also apply for post of Driver. The number which you have given in ad is off. Please give me your contact number which is on..